After five months of very slow travel, I’ve picked up the pace. Why? I’ve committed to a three month volunteer internship position in Xela at the end of July with Pop Wuj, and I have seven weeks to explore Central America before heading back to Guatemala. We crossed into El Salvador at the Valle Neuvo/Las Chinama border. An agreement between El Salvador, Guatemala, Nicaragua and Honduras means that all tourists get a 90 day CA-4 visa to visit the region. This makes crossing borders quite seamless, but also a nuisance if you want to stay longer than three months in the area. To renew your visa, either re-apply from within the region, or leave the zone (i.e. easiest options are to go to Costa Rica, Belize or Mexico) for a minimum of 72 hours. 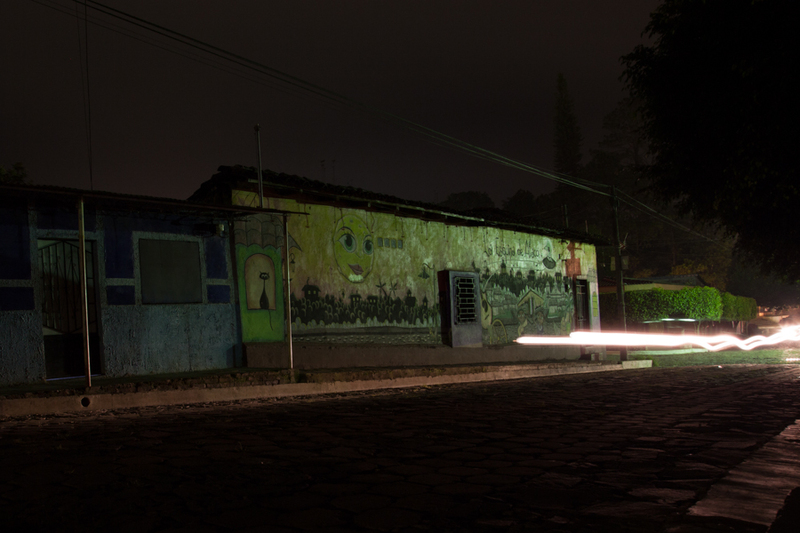 Ataco: A tranquil and quaint town with colourful murals painted on many of the buildings. There are a few hikes that can be done from the town, a nearby waterfall, and many small coffee plantations in the hills above. Our first destination in El Salvador, we found the people from Ataco to be extremely kind and welcoming. Tacuba: Hoping to visit El Impossible National Park, we stayed in Tacuba the second night. It was smaller than Ataco, had no murals, and no central square. We realized late, that if you want to visit the park independently for hiking, better to visit from the southern entrance. From the town, entrance at the north end of the park requires 4X4 transportation (i.e. expensive), which makes getting there with public transportation nearly ‘impossible’. In the end, we visited the park through a waterfall jumping tour organized by Hostel Mama, Papas y Manolo (the only gig in town). I would recommend the tour if you enjoy waterfall jumping with four to fifteen metres drops (I realized that I don’t), but weather during the rainy season can be a hinderance. Half-way into our tour, the sky opened up, and we were in the midst of a storm. Instead of jumping from the last waterfall, we watched it swell to three times in width during the time it took us to climb down the side. 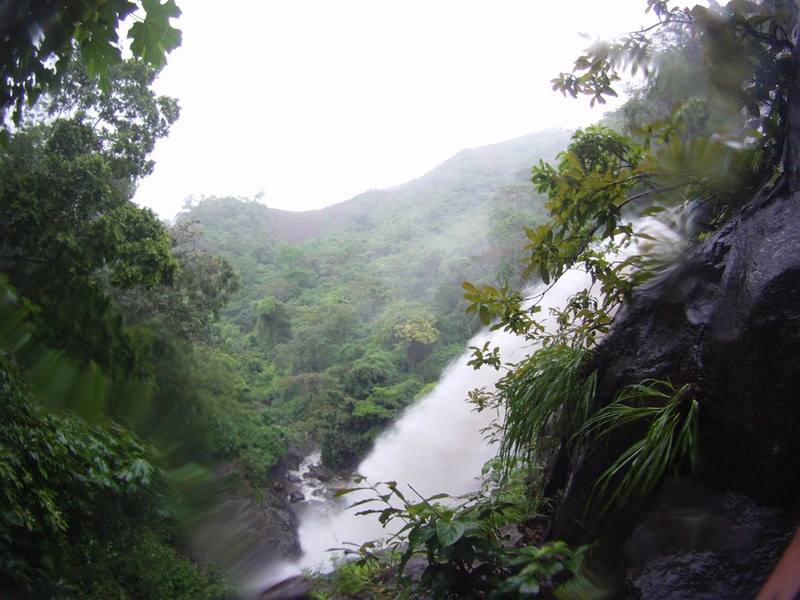 While we didn’t finish the tour the usual way, hiking through a tropical storm was unforgettable! Juayúa was my favourite of the three towns. Slightly larger than the other two, it is most famous for its Feria Gastronomica (food fair) that takes place every weekend, but there are other attractions that are worth staying for as well. The Feria Gastronomica, was the best food I had in El Salvador. 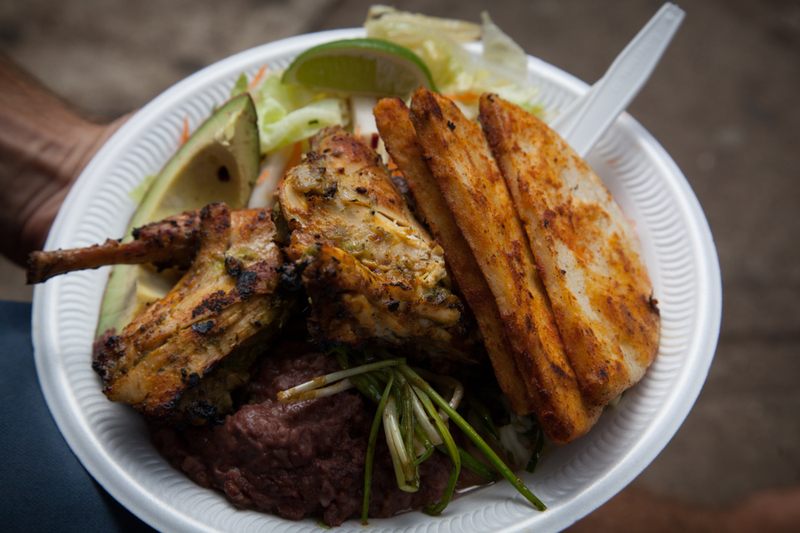 While previously famed to serve many different kinds of exotic meats, the feria now serves mainly large plates of bbq’s camarones, meats, and other typical El Salvadorean plates and desserts. Approximately $4-$6 US per plate. 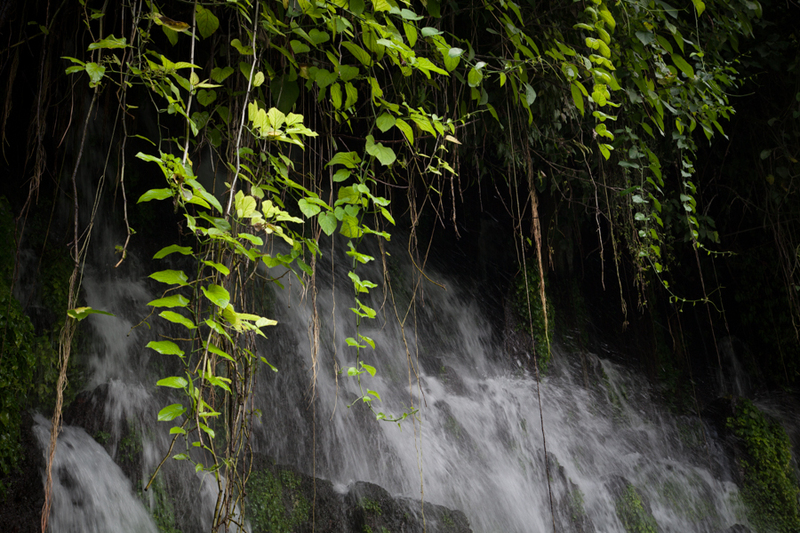 Juayúa also has two sets of stunning waterfalls. The first, Chorros de las Calera Cascadas you can walk to on your own or pay $3 US for a local guide. Located on private property, at the time of writing, there was no entrance fee to get in (but I imagine this will change eventually) - it is worth the trip. You can go independently, or hire a guide $3-$5 US. The second tour is a full day tour of seven waterfalls, and apparently is even more stunning than the Chorros, but requires a guide. From our hostel, Hotel Anuahac, the owner Cesar offers a coffee tour of the third largest processing plant in El Salvador with, Majala Cooperative services over 300 farms. Cherry-picking season is in November, but we were able to learn about the entire process from the cleaning, de-husking, and drying, to sorting, classifying and finally shipping. After the tour, we went to a small roaster located at a private house, and toasted top quality beans that would be used for the upcoming “cup of excellence’. The beans in El Salvador are top notch with the bulk of them being high-altitude arabic beans. 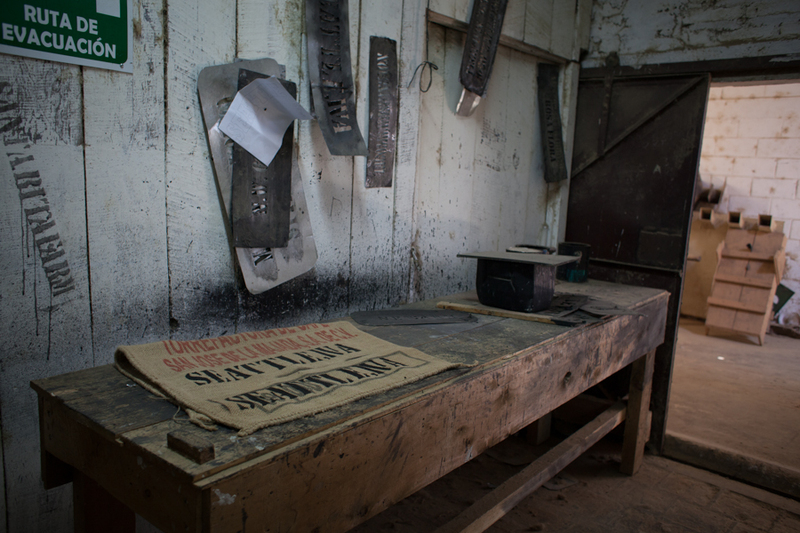 A bit of a coffee fein, the coffee tour was my favourite activity in La Ruta!